Without a doubt one of the most anticipated releases of 2019, Kingdom Hearts 3 has now been released to widespread critical and fan acclaim. 13 years in the making, it provides a beautifully crafted conclusion to the tales of Sora, Roxas, and the many more beloved characters born out of the franchise. The series is famous for bringing together beloved Disney properties, from Alice in Wonderland to Hercules, The Little Mermaid to Peter Pan, and combining them with original characters and Square Enix's Final Fantasy creations in order to weave a complex, often mind-boggling story that continues to draw new players even today. Having played earlier instalments in the franchise, and being a fan of narratives that defy easy understanding, I have been keen to pick up this new entry and see what it has to offer. Graphically it looks phenomenal, having come a long way since the series' debut on the PS2, and the new worlds include Big Hero 6's Neo Yokio and Frozen's Arendell, sure to provide new challenges to fans old and new. The game is more ambitious than any previous entry, with massive open world levels replacing the more traditional sequence of smaller areas, and it's easy to feel nostalgic for a welcome return to the keyblade wielding combat, which here looks better than ever. 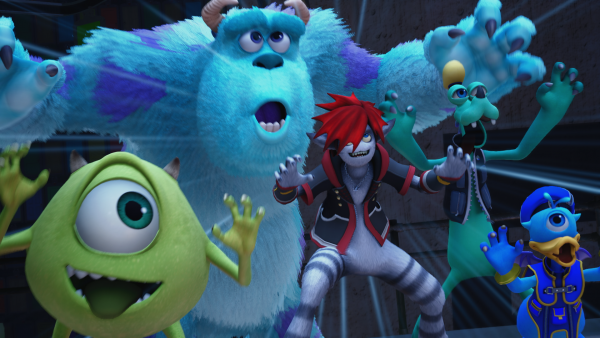 Perhaps most of all, however, I'm looking forward to getting to see my younger brother play KH3. He picked up some of the earlier games, and has been eagerly awaiting this new instalment ever since. I can't wait to find out how this epic story ends, and to share that experience with him. 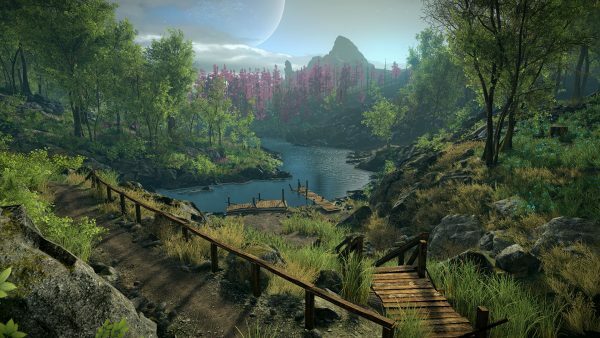 Eastshade is an upcoming adventure-driven indie game from Danny Weinbaum and Eastshade Studios in which you play as a painter visiting the gorgeous island of Eastshade. As you are adventuring through the forests, villages, and caves of the island, you find yourself commissioned by the locals to capture on canvas the picturesque landscape surrounding you. With summits to scale and buildings to explore, this game promises to be both beautiful and atmospheric with a soaring soundtrack to accompany the meticulously designed environment. Eastshade trades fast-paced combat sequences for relaxing exploration through expansive vistas and challenges players to slow down and to really absorb their surroundings in search of the perfect framing. As you get to know Eastshade’s inhabitants, local stories begin to reveal themselves telling tales of mysteries and secrets hidden by the island just waiting to be unravelled. The game includes puzzles to solve through a collecting and crafting system, with different areas inaccessible until you can create the items needed to access them. All in all, Eastshade is a new angle on exploration games, and I am looking forward to it releasing on February 13th 2019. As a fan of games like Firewatch and Dear Esther, I am hopeful that this composition from Eastshade Studios will be a masterpiece. Get drunk with my best friend, die, go to hell, play beer pong with demons, drink Satan under the table… no, I haven’t accidentally sent in my weekend plans instead of my writing piece, these are the things that you will need to do in order to win back your soul and return to earth in Afterparty by Night School Studios. 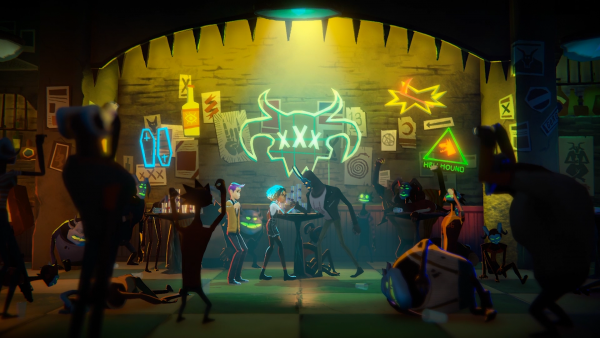 Following up on the simply stunning Oxenfree was always going to be a hell of a task but judging by the glimpses we’ve been given so far, Afterparty feels like its going to blow me away just as much. You play as best of dead-friends Milo and Lola as they traverse the underworld, taking on various incubi at various party games, drinking contests and dance-offs, all in search of: a) an explanation as to just why it is they’ve been condemned to eternal damnation; b) the opportunity to face the Prince of Hell himself and win back their right to life. I’m pleased to see that the gameplay itself seems very familiar to Oxenfree, with branching dialogue that changes based on your choice of ‘hellcohol’ creating a vast choice-based story that’s going to be sure to keep players coming back for more. I’m also extremely happy that the game seems like it will also retain the beautiful art-style of its predecessor, albeit with a slight hint of Gorillaz in a coat of neon that really helps bring that ‘pop-art underworld’ chic to life. I can’t to pour myself a glass of ‘famous last words’ and party like I died last night. Crash Team Racing was one of the most unique kart racers of its time, featuring an incredible roster of characters, inspired level design and some tight, competitive gameplay. With the rife success of the Crash Bandicoot N. Sane Trilogy it seemed only inevitable this wacky racing title would boost back onto the scene – and in five short months, the chaos returns in all its nitro-fueled glory. One of Nitro-Fueled’s biggest draws is its relative difference towards its competitors. Crash Team Racing isn’t just Mario Kart. A major feature of CTR is its adventure mode, featuring characters racing through various tracks and arenas to earn trophies, Relics, Boss Keys and more. Special objectives, challenges and the hub worlds one can explore help set the scene as you interact with familiar Crash characters on your journey to save the world from the nefarious Nitros Oxide. The prospect of seeing such a rich mode in HD fills me with giddy excitement. It’s this familiarity that I’m most looking forward to, experiencing the best possible version of one of my favourite childhood games. 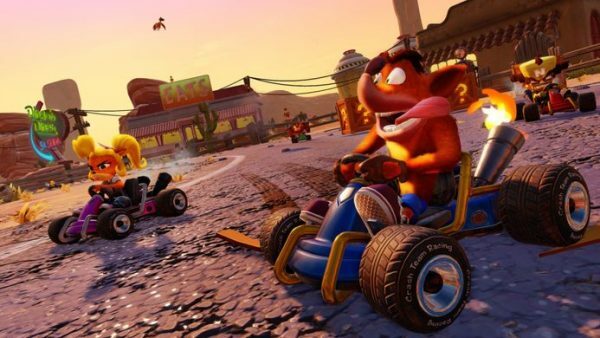 Like the N. Sane Trilogy the game is being developed from the ground up with all new assets, as well as brand new tracks, kart customisation and online connectivity; even for those who have mastered the original, there is something to constantly come back to. The best thing about this incredible remaster is the renewed accessibility it’s receiving, jump-starting this classic game for another generation, and is one of my most anticipated titles of 2019. Doom (2016), despite its repetitiveness and weak offerings outside the singleplayer campaign was still a great game and, had I actually played it in 2016 (instead of 2017 which is the year that I played this game) it would have easily been my game of that year thanks to excellent feel for the guns and a fantastic glory kill loop which makes for a brilliant combat loop and a great metal soundtrack with solid level design. Even though it was a weak year for games in 2016 it’s still a really, really strong achievement to be my favourite game that came out in 2016 and also one of my favourite first person shooters ever. 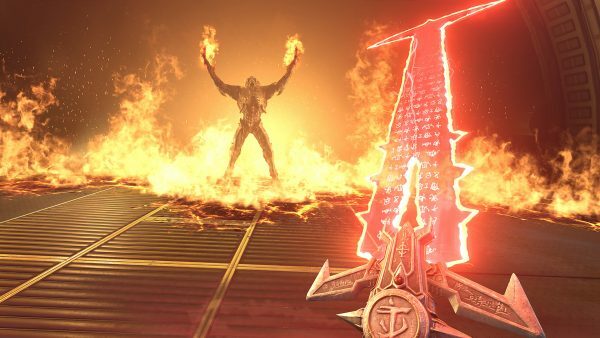 Doom Eternal looks like from the gameplay we have seen so far a strong build up and extends from Doom’s gameplay with stronger level design and a grappling hook which looks really fun to use. They have said about some of the multiplayer features they are planning to include into Doom Eternal and while it’s questionable, I won’t completely write it off plus you can turn off the multiplayer features so if they are not great it shouldn’t be too bad. One concern people may have is that Bethesda are publishing it who are the blame for Fallout 76 however it's key to note Bethesda developed Fallout 76; for Doom Eternal, they are only publishing it. Hopefully ID Software, the developers making this game, can make a very strong follow up from its excellent predecessor. It has been 4 years since we had a Yoshi based title from Nintendo. Yes, he can frequently be seen in other Mario games but even then, he’s been put on the back burner, with only a cameo in Mario Odyssey. This is why we all are looking forward to his 8th stand alone game, which is coming to the Switch in March this year. Yoshi’s Crafted World is an upcoming side-scrolling adventure game featuring everyone’s favourite green Dragon-horse thing. 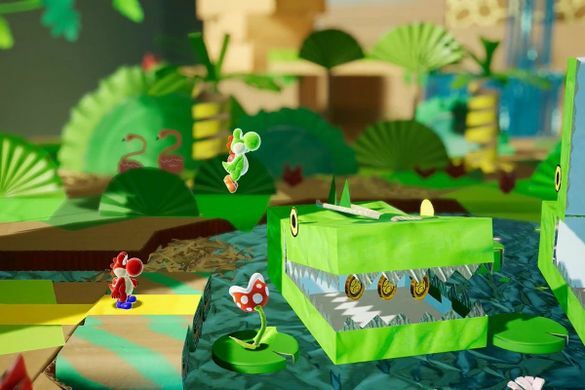 You play as an adorable Yoshi who has to recover incredibly powerful Gems which have unfortunately been scattered across the Crafted World by Bower Jr. and Kamek. What really sticks out about this game, however is the gorgeous aesthetic the Crafted World presents. Made up of what looks like a Toddler’s collection of arts and crafts pieces, you travel through a world of paper plates, felt squares and knitted apparel, which just evokes such a joyous sensation, I can’t wait to dive in myself. Fans will remember Yoshi’s last game being based around wool and material, and this game takes that artistic drive on step further. Although it is a 2D game primarily, it also incorporates many 3D aspects like throwing eggs (made out of enemies Yoshi’s can eat) at background features like presents or secret items. This game on whole looks like a fun change of pace from other triple A games also coming out in 2019, with a lighthearted take on the Mario world, and a local co-op for two, so you can enjoy a fresh feeling frolic with friends. I spent a lot of my younger days meticulously designing custom pathways for my Animal Crossing: Wild World village. It all felt very whimsical, and I had a genuinely strong attachment to each of my villagers, to the point where I remember crying real tears when they betrayed me and left my village. Unfortunately around the age of fourteen I lost my sense of fun and decided to start only playing “real” consoles with “real” games where everything looks “real” and “grey” and “awful”. This meant ditching Nintendo, and along with it Animal Crossing. The old me was dead, and I transformed into a basement-dwelling PC master-race gamer. However, a couple of years ago I realised that games should be fun, not soul-crushing, and so decided to save up for a Switch. 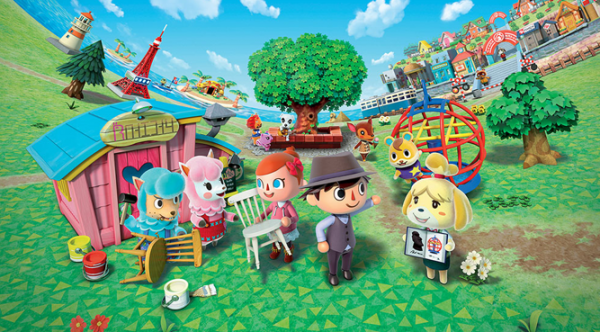 I guess what I’m trying to get at is that Nintendo, and Animal Crossing, represent a younger, happier version of myself who I assumed was dead, and that the announcement of a new Animal Crossing title for the Switch is, for me, comparable to what I imagine finding out you’re going to be a parent is like. ''Physics enabled sunbeams' is a phrase that sounds silly enough on its own but it's definitely not one you would associate with the dark, desperate, damp subway stations of the Metro games. 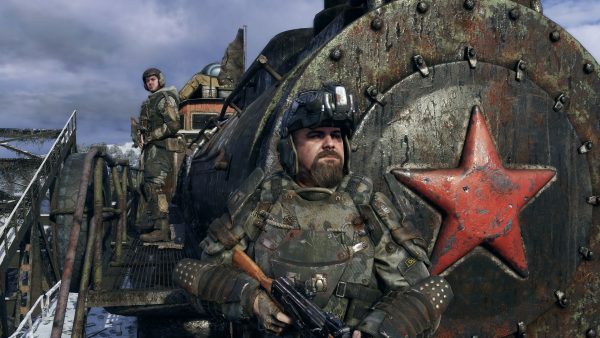 In fact, 4A Games' latest foray Metro Exodus is capitalising on that very technology for the re-visioning of the series, and there is so much to discover. Searching for a haven in Vladivostok, Artyom travels the Asiatic continent on the train 'The Aurora' with a motley crew of new-apocalyptic English-speaking Russians. As evident, the theme is innovation - the air is breathable but you won't be pawning your gas mask for a grenade just yet. The story takes place over a year, and so each of the sandbox sections change with the seasons. Most striking is the summer that is bright and deadly, long lines of sight instantly shrouded in the devastating sandstorms. In addition, the player may exploit the new day and night cycle - daytime makes managing the patrols of mutant animals or enemy gangs far easier, but night offers shadows to cloak yourself with. So Metro was a quintessential corridor shooter, but Exodus brings forth the achievements of those games into the open world with compressed, tense, tightly packed suspense and slow, eerie, haunted zones of irradiated land. Instead of funnelling the player in train tunnels toward an inevitable threat, it becomes a question of what you're willing to risk to explore say an abandoned shack that could hold the vital crafting material for surviving another few hours in the wastes. Vehicles and rowboats are new features for moving around the zones, and complex stealth mechanics are familiar to seasoned players yet rewarding to new fans. Finally, the extensive customisation options for weaponry while in the field is a refreshing approach compared to the previous titles, permitting a shift to subsume Artyom's character into your own personal style of combat. Though freedom is championed, the developers don't allow the gameplay to unravel to a comfortable double-tap with your trusty overpowered pistol and simplistic loot-hauling. Resources are expectedly scarce, unfortunate mutated humans lurk in every corner and you must adapt to the environment traversed or die. But I didn't want to leave this last hurrah for Metro Exodus on an uncheery note like that, so here's this - there's a technophobic cult that worship a fish called the 'Tsar-fish'. Oh, Russia. When Gears of War 4 dropped, it came with the tricky task of trying to continue one of Microsoft’s most important franchises and whilst it didn’t necessarily nail everything, it was impressive with a strong story, well-honed gameplay and a strong sense of direction. Whilst the multiplayer did feel a bit too much of the same, the horde mode had a good revamp and it felt like a strong transition from Marcus and Dom to J.D. and Kait. 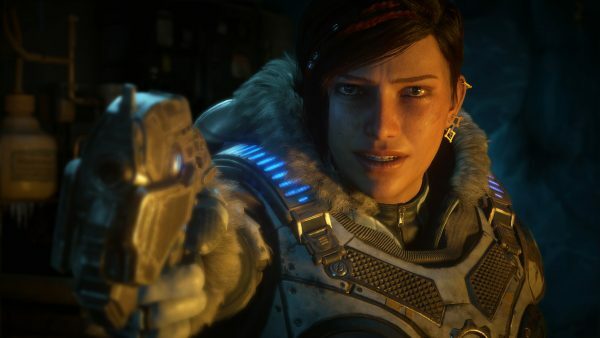 Microsoft seemed to realise the importance of this success and with Gears Tactics coming on PC, Gears 5 has a lot of momentum going for it. The E3 2018 trailer was very promising indeed, looking at a game exploring Kait’s character after her traumatic loss at the end of 4. This direction feels like a great way to go, along with continuing the tense atmosphere that the fourth instalment merely teased in the first encounter with the Swarm. The strong supporting players from that game, such as J.D, Marcus Fenix and Del, continue and whilst one wonders how they will try to keep the story heartfelt in this entry, the promise here is intriguing. Whilst the serious, dark tone of the fourth entry worked superbly, the fourth game did alsovbenefit from the fun horde mode, which added new options and combinations of enemies in a revamped, pacey system. The one concern moving forward is hopefully that multiplayer gets a similar reset. Even if it was strong, it couldn’t be overstated how far too familiar the multiplayer felt and it needs more than a paint job in custom skins. But with all this said, the Gears series still has life, and if capitalised on, we could have a Gears game unlike in so many ways other than just a name change. Set in the familiar streets of Kamurocho, ​Judgement​ is an upcoming ​Yakuza spin-off with an interesting twist: you’re on the other side of the thin blue line. 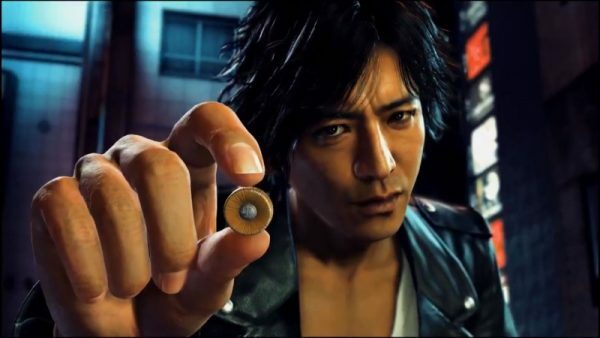 Previously known as ​Judge Eyes , the game has you play as detective Takayuki Yagami as he investigates a string of murders in which the victims were found with their eyes missing. Despite the grisly plot, Judgement​ seems to retain the soul of the other ​Yakuza​ games, with the gameplay involving over-the-top, acrobatic combat that would look more at home in a Platinum game than in a serious crime drama. The juxtaposition between the po-faced story and the almost slapstick gameplay is a huge part of the ​Yakuza​ series’ unique charm, and should make ​Judgement similarly compelling. ​Judgement​ brings back the style-switching combat from ​Yakuza 0, which was a refreshing change, and one that was sorely missed in subsequent games. It also introduces detective-themed gameplay changes of its own, and will see you surveilling targets with a drone, and interviewing suspects like in ​LA Noire.​ This should switch up the usual ​Yakuza​ formula enough to give ​Judgement​ an identity of its own, and I absolutely can’t wait for it’s western release this summer.